I took a demo, not sure where ya want it but i got it so post me a link or pm me and I can send it to you. They were camping in blackriver like mad, up by a player for most of the game and completely disregarding da rulez. I was pwning (more or less) and there's a couple good shots in there as well. Edit: uploaded demo to megaupload. 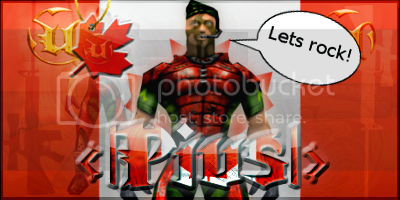 Last edited by <|Pius|>; 07-13-2011 at 10:00 AM.